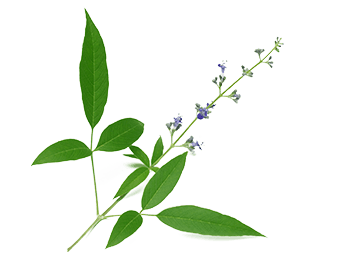 Nirgundi, Vitex negundo, is a multipurpose and versatile herb native to India and other countries in Asia. Also known as Five Leafed Chaste, Nirgundi is a potent Ayurvedic herb known for its analgesic, antibacterial and anti-inflammatory properties. The main constituents found in Nirgundi are phenol, dulcitol, alkaloid-vitricine, B-sitosterol, camphene, orientin, arteemetin, onoterpens, anguside eurostoside and aucubin. It also contains flavonoids such as casticin, and chryso-splenol. Vitexin is a flavone glucoside which contains chysoplenol D.